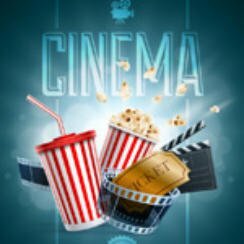 Popcorn Cinema Show takes a look at what’s new in cinemas for week 29th July 2016. Highlights this week include Matt Damon return in the film Jason Bourne & animated film Finding Dory. Plus we have the latest movie news and film trailers. Actor Michael Caine real name Maurice Micklewhite has had enough of being held up at airports because he has his birth name on his passport. With the terrorism alert status on high around most of the world he was becoming frustrated at the hour long delays having two names brought. So he has decided to change his name by deed poll to Michael Caine! Jason Bourne returns to uncover the real truth of his past. Dory remembers something about the jewel of Morro Bay and goes looking for her family.